As you can see, our church website got a new facelift! And just in time for a new season at SFCAC. If you look in our “Meet Our Leaders” page, you may have a notice that we have a new Senior Pastor, Sam Lai. We are so happy to have him and his family with us, serving with us, and servant-leading us. And we are also so grateful for the longtime service and leadership of Pastor Peter Wong, Mrs. Wong, Pastor Charles Kwan, Mrs. Kwan, Pastor Emanuel Chiu, Mrs. Chiu, and their families! We wish all of God’s blessing as we know that although they are retired from SFCAC ministry, God has a lot in store for them in His kingdom work. Along with the change in leadership, SFCAC is celebrating its 50th Anniversary in 2019. It’s going to be a fun season as we give God thanks for the last 50 years and look to Him for the next 50 years and beyond. We know that none of our 50 years was possible without God’s presence and love. So, it is fitting that this year, our focus is living according to James 4:8 to draw near to God. 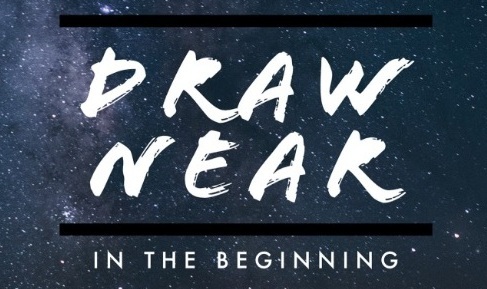 And last Sunday, we started a new series in Genesis 1-3, called Draw Near: In the Beginning, just in time for Lent. The series focuses on who God is, who we are, what our purpose is, why things in this world are not the way they’re supposed to be, and how God has come through for you, me, and this world. We are really excited for this new series! So, thanks for visiting our website. If you’re in the neighborhood, feel free to drop by. We’d love to have you! Newer PostGC Kidz Club! This Summer!!! Older PostJoin Us For Christmas!